Bill Passes as Part of Blue Water Navy Vietnam Act. “Mr. Speaker, I rise in support of H.R. 299, the Blue Water Navy Vietnam Veterans Act, of which I am a proud cosponsor and I thank the great Congressman from California David Valadao for his leadership introducing this important legislation. This bill expands treatment coverage for those affected by Agent Orange from not only those who served on the ground, but to those service members, who are known as Blue Water Navy Vets, who were affected while serving our nation at sea. “In my home county of Suffolk, which has the highest concentration of veterans in New York State, hundreds of Vietnam veterans and their families will now be able to receive the benefits they have earned. These brave service members have put their lives on the line for our great nation, and they have earned nothing less than the highest quality care. “Additionally, this legislation includes my bill, the Flexible VA Loan Guarantee Act, which expands veterans opportunity for homeownership by eliminating the loan limit the VA can guarantee. This is especially critical in districts like mine where the median home price is higher. The Blue Water Navy Vietnam Veterans Act of 2018 expands treatment coverage for those affected by Agent Orange from not only those who served on the ground, as currently stands, but to those service members who were affected while serving at sea. The Flexible VA Loan Guarantee Act would eliminate the loan limit or “maximum guarantee amount” of a loan that the Veterans Affairs Administration (VA) can guarantee for a veteran, providing the VA with the flexibility to determine the appropriate limit for individual veterans loans and expand access to homeownership in areas like Long Island where real estate values are higher. 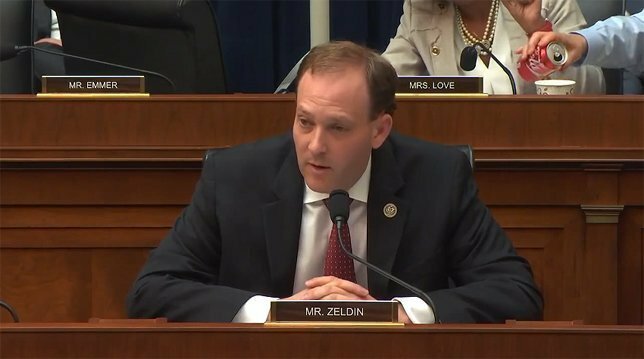 Subject: LongIsland.com - Your Name sent you Article details of "Rep. Zeldin Secures House Passage of His Flexible VA Loan Guarantee Act to Expand Veterans Homeownership Opportunity"